. Kevin says: December 6, 2013 at 11:24 am (Edit) Stay dressed!
. Caroline Clemmons says: December 6, 2013 at 12:12 pm (Edit) Love the header, Earl. Where’s your Stetson, though? 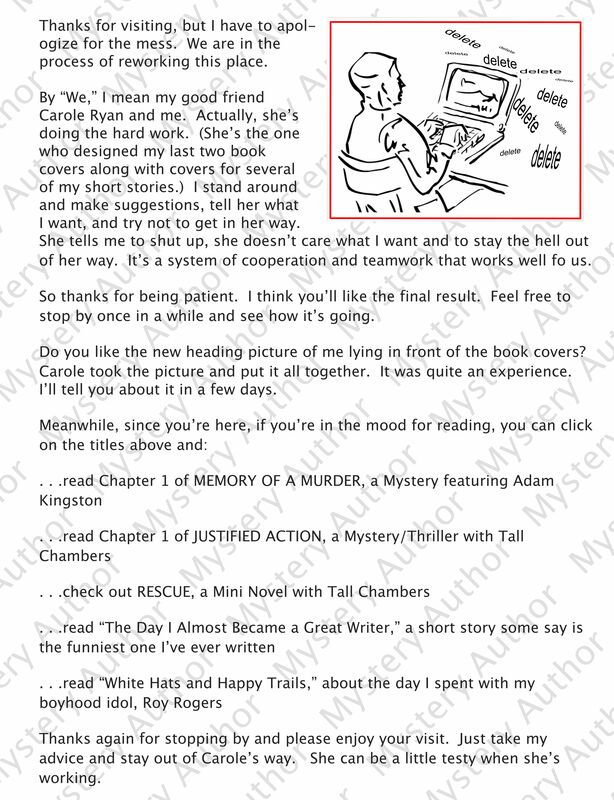 ☺ Great job.
. kaye george says: December 6, 2013 at 2:50 pm (Edit) Tell Carole congrats for me–nice job!
. rubypjohnson@verizon.net says: December 6, 2013 at 3:07 pm (Edit) Love your new look. This is priceless! Just priceless and I love it! Thanks, Kaye. We’re having fun doing some rearranging and changing. Hope you’re keeping warm and dry over there. Colder’n Helsinki here.